You want to make a video that demonstrates your business and services or products to the world; a video that will help you land new clients and sales while also helping you establish a brand presence. 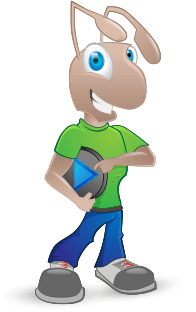 Video is definitely an option you want to explore, and you found the ideal DIY animation video software. There are even templates included to help you get started. This sounds like an opportunity where you can transform your business and help it grow. But there’s just one problem: DIY templates are simply not going to provide you with the growth that you want. There’s a reason that video is so popular, and it’s not because people use templates to make videos. In truth, videos are popular because they’re unique and fun; they engage the viewer, answer questions and have a uniqueness about them that draws in clients. Here’s a question that must ask yourself: “do you want your video to stand out?” Templates are fast and efficient, but they aren’t unique. The last thing you want is for your business to be seen as generic. What happens if your competitor uses the same exact template? Do you want to be associated with your competitor? Or worse, someone that offers a lackluster product or service? This DIY software will leave your business with the potential of being generic. – Create a unique, engaging video. – Create a story that touches on the viewer’s pain points. – Utilize the best practices to get your video seen. Any time you use an off-the-shelf video creation software with templates, you’re creating videos that are similar or almost exactly the same as your competitors. You want to dare to be unique – not generic. Marketing your business with video is a smart choice going into 2016, but you need your video to help you make sales. Professional videos allow you to promote a product or service, and this needs to be done with a professional touch. Templates won’t allow you to truly customize your video – there are always restrictions. Through professional videos, you’ll work with a company that is focused on driving sales to their customers’ businesses. These professionals know how to produce videos that generate sales, leads and hook in the viewer from beginning to end. Businesses hire professionals to handle jobs that they’re not experts in. Marketers are hired for their expertise; the same with web developers and video producers. You want your video to look professional and to use all of the industry’s best practices. – Networking and reaching out to potential customers. – Researching and developing new products and services. In short, if you’re not a video professional, you’ll spend excess time creating a video that is lackluster. Leave this job to the professionals. Your time is valuable, and hiring a professional instead of using generic software will save you time and money. At the same time, a professional will help you generate new sales and create a video that you’ll be proud to show to your potential customers.